The 2016 Membership form is now available! Each renewing/new member must fill out an electronic form every year. To renew membership or to become a member please click here. You may also click the JOIN tab at the top of the blog. Scroll down to the area that says: Step 1 – Complete Membership Application. You can find the form link there as well. Membership dues are $50 for 2016. Please pay by December 28, 2015. You can pay by credit card, by cash or by check at the next meeting, or, for your convenience, via PayPal. There is also a PayPal link in the application form and on the “JOIN” page. There is a $2 surcharge to use PayPal. 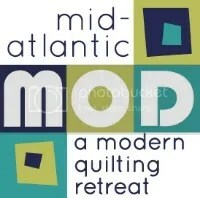 If you pay by check, please make it payable to “North Jersey Modern Quilt Guild.” If you will not be at the December meeting (December 17th), but would like to pay by check, please email njmqginfo@gmail.com for a mailing address. NJMQG Membership shall be recognized upon payment of dues and completion of the 2016 Membership Application Form.